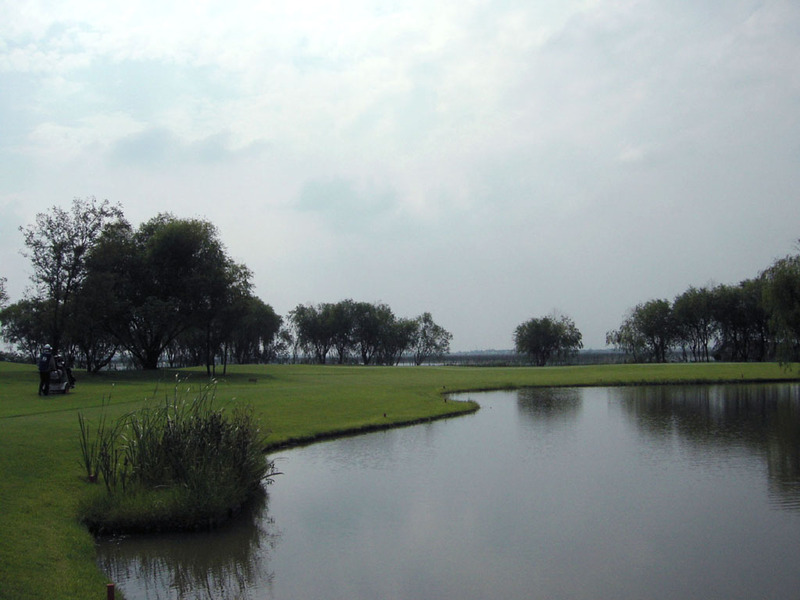 The course is flat with links flavor, lying next to the shorefront of Lake Bixian. 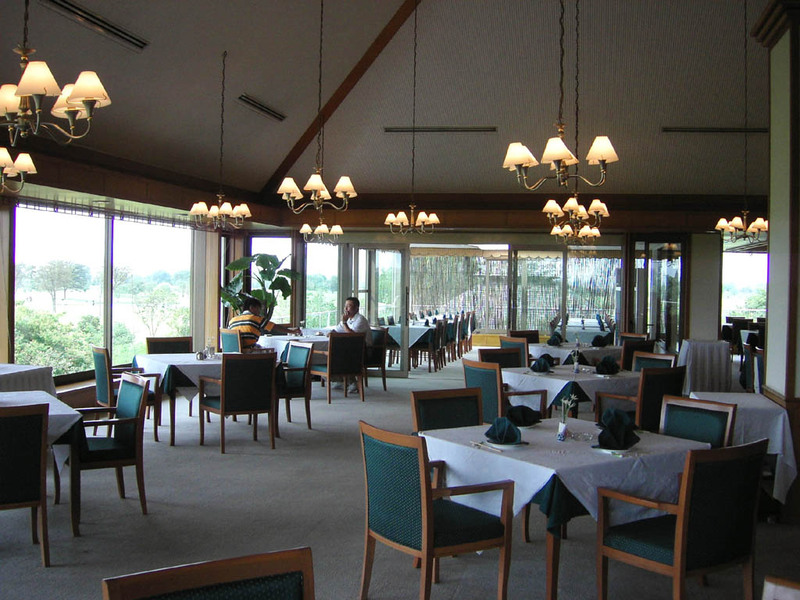 A strong wind makes this friendly designed course more challenging. The entire course is spacious and players can enjoy liberating atmosphere. The greens adopt Kourai grasses that are rare in China, and the condition of greens is good but the grass grains are strong. The views of the Lake Bixian and cities on the opposite shore are superb. A slight dogleg to the left. 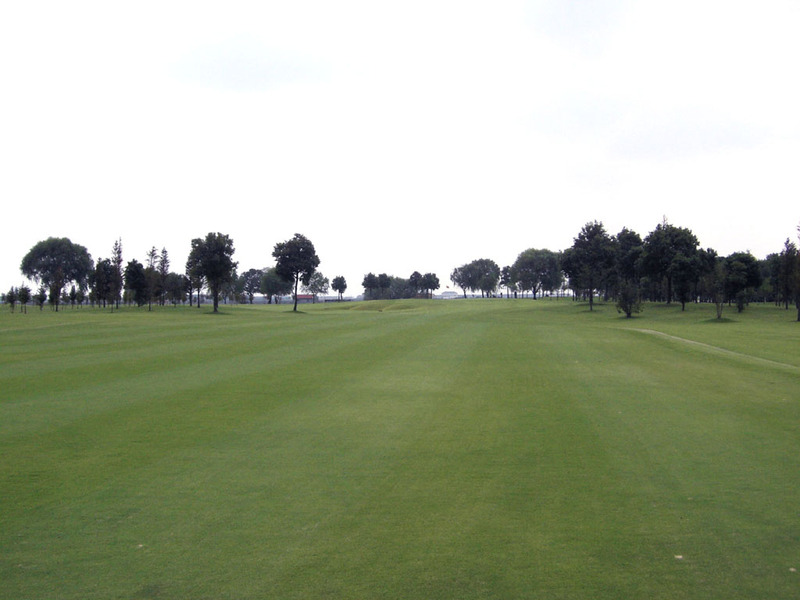 The fairway is narrow with bunkers on the left and trees on the right, which makes this a demanding hole. Bunkers well protect the front left of the green. A dogleg to the right. The tee shot needs to be over a lake 170 yards off the tee. 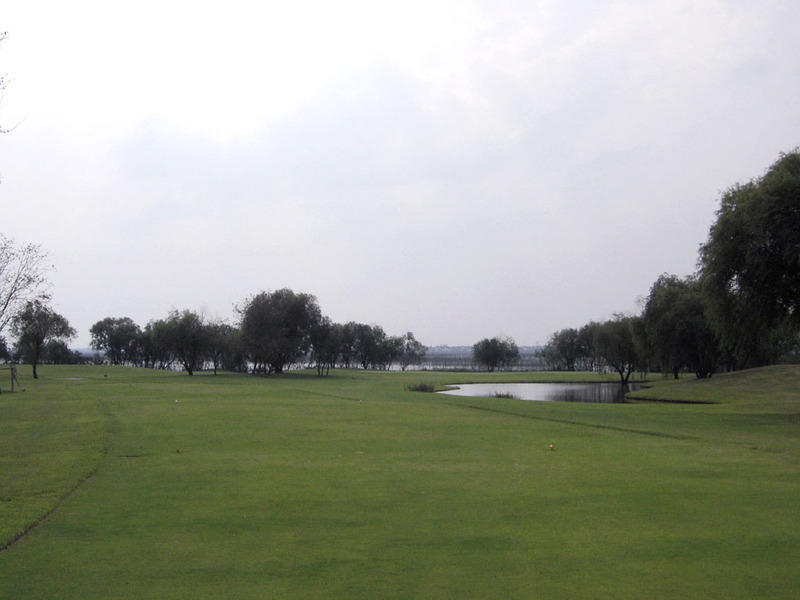 The left side of the fairway borders the lake. 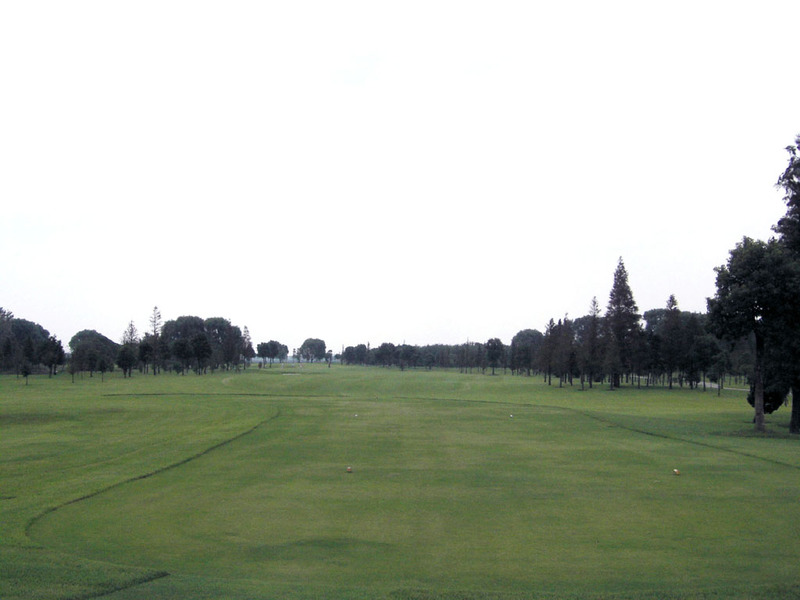 A slight dogleg to the right with green swung further to the right. 3 kinds of lakes on left & right sides are strategically placed. The view of the green and the clubhouse behind it is good. 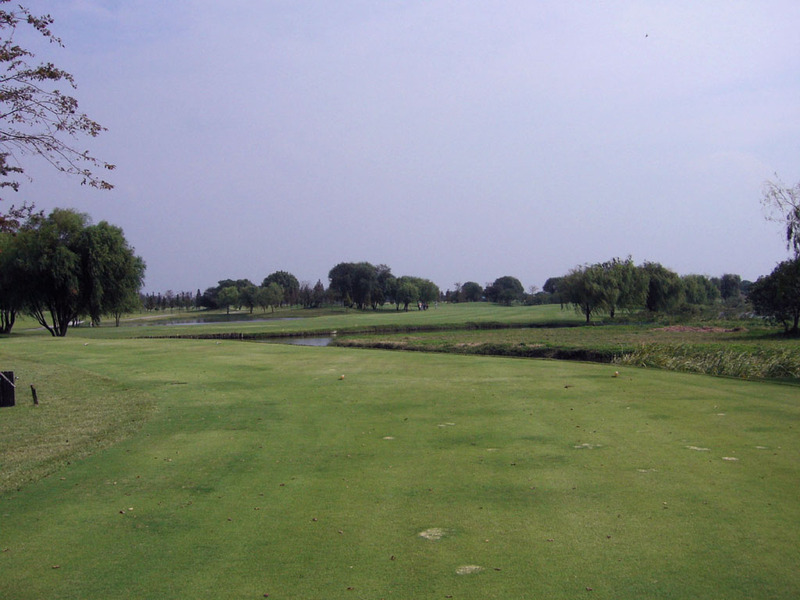 A straight hole with a lake on the right. The green is slightly elevated and double-tiered. A large bunker on the left of the green comes into play. A sharp dogleg to the left. 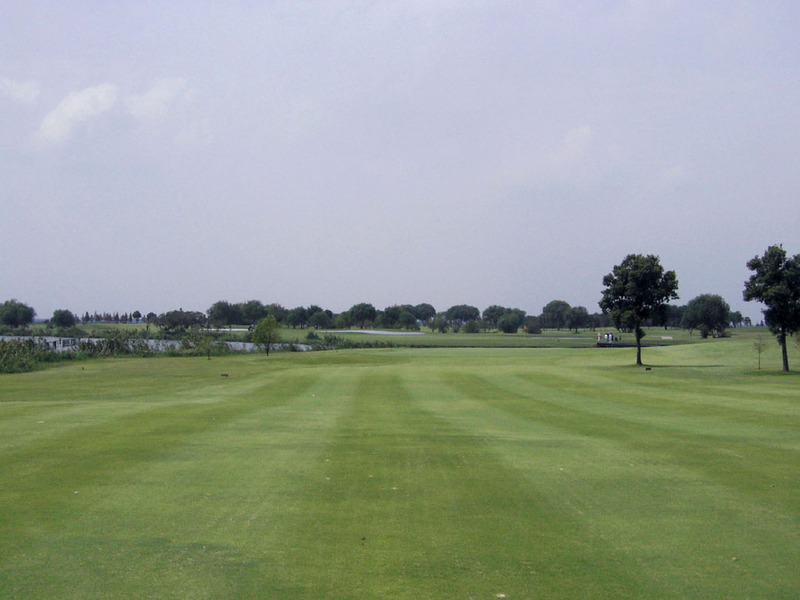 The landing zone off the tee is narrow sue to superbly placed lakes on the both sides of the fairway. The green is triple-tiered. 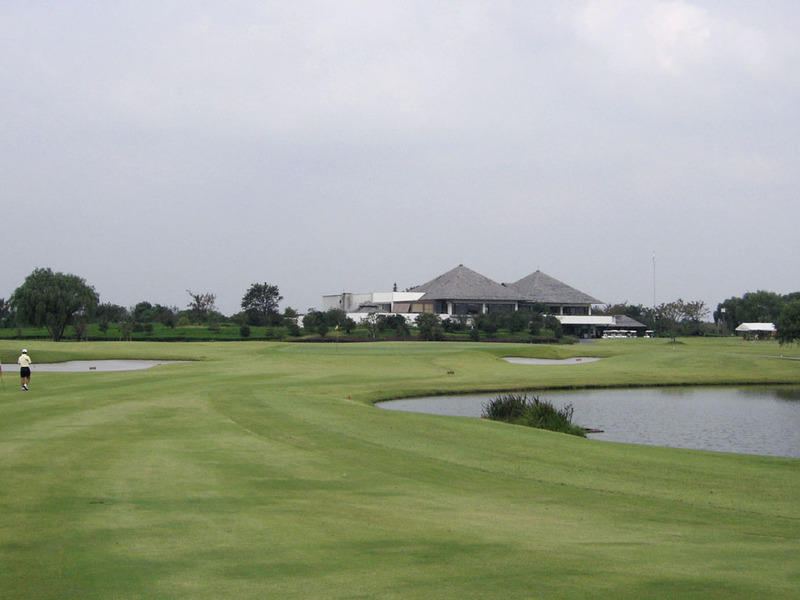 A short hole with water hazards in the front as well as at the back of the green. 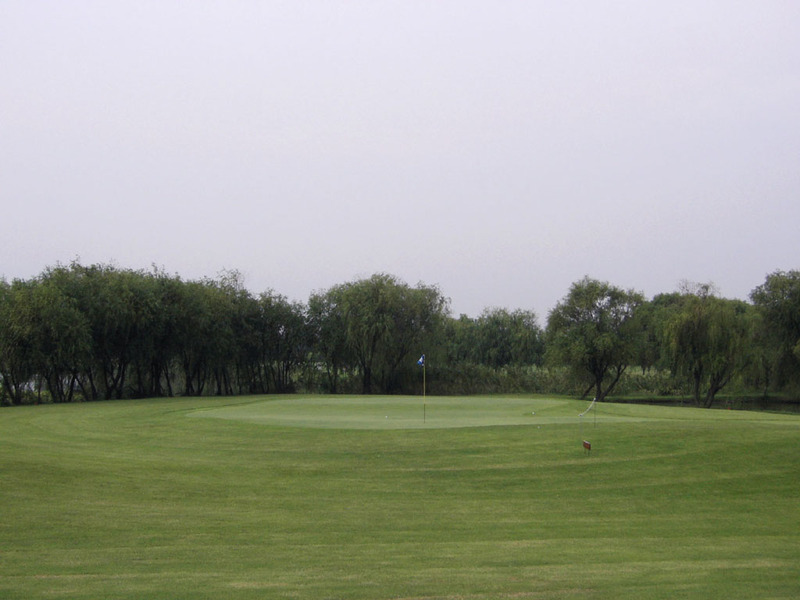 The green is wide but only 15 – 18 yards deep, so you need to spin the ball and make it bite on the green. This hole is beautiful. A long and difficult, slight dogleg to the right. 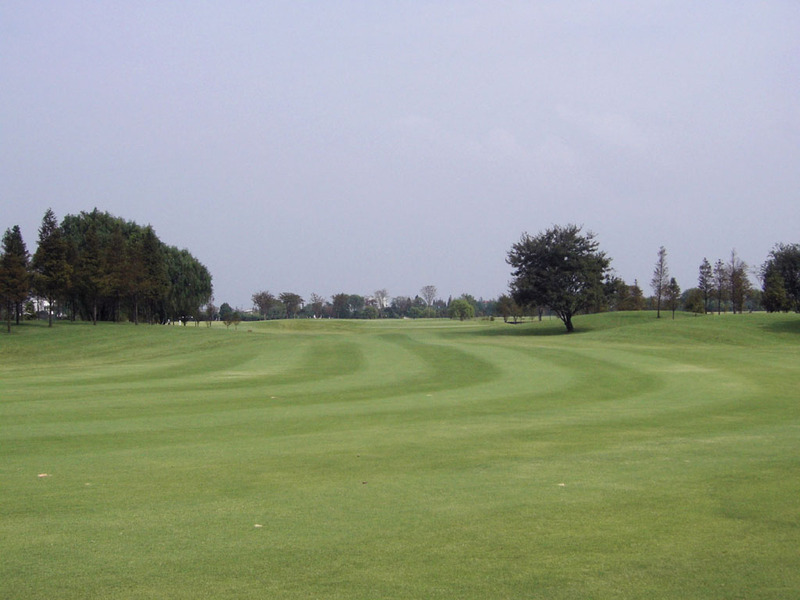 Usually you play against the wind, so it seemingly isn’t a par 4 but a par 5. 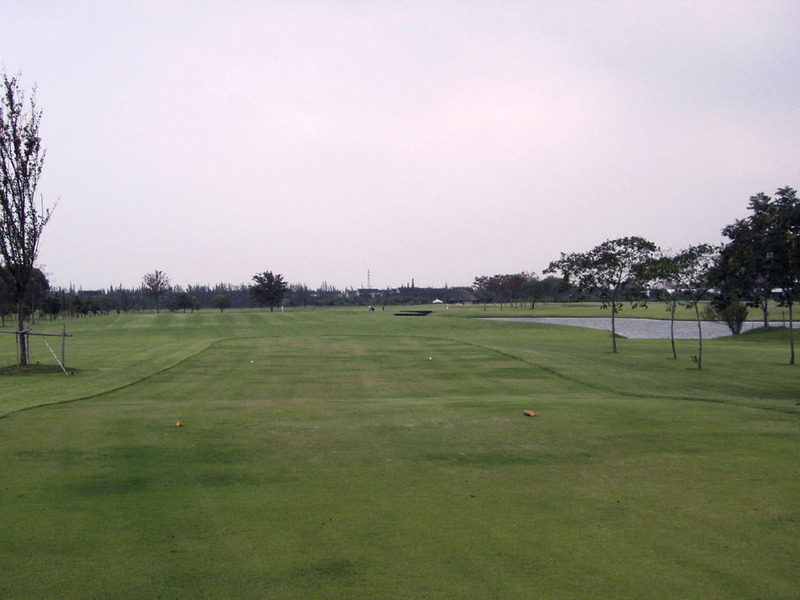 You need to drive hard off the tee; otherwise, you will have only have a slight chance to hit the green in regulation. 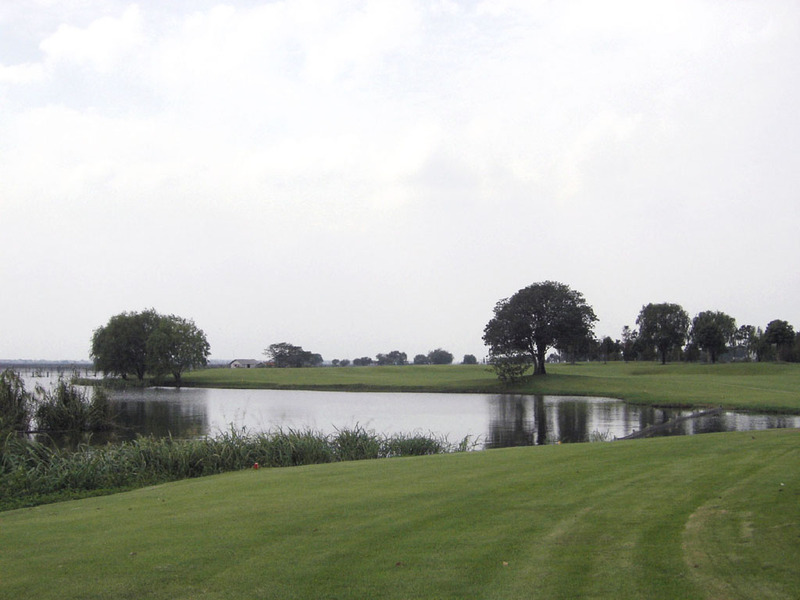 A lake on the left of the green and a bunker on the front right of the green come into play on the second shot. The green slopes slightly from the front to the back left. 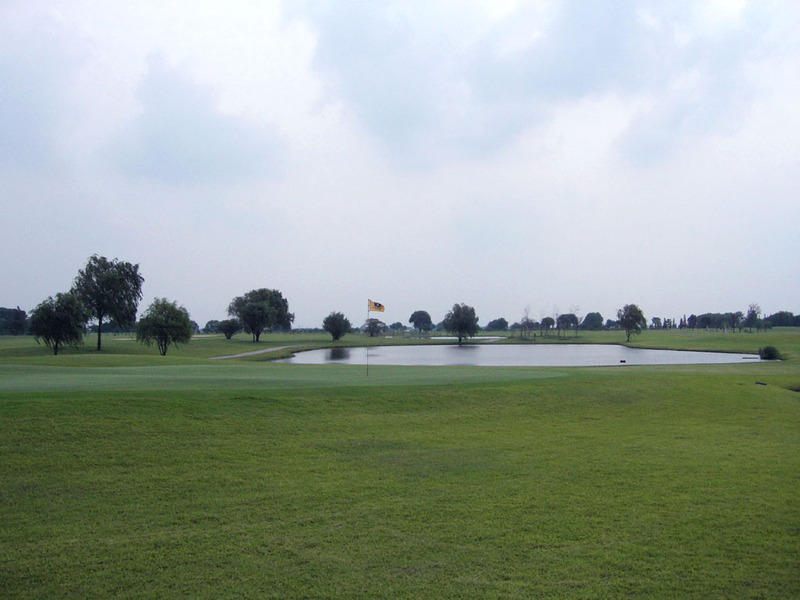 It is a hole that you are very happy to save par. 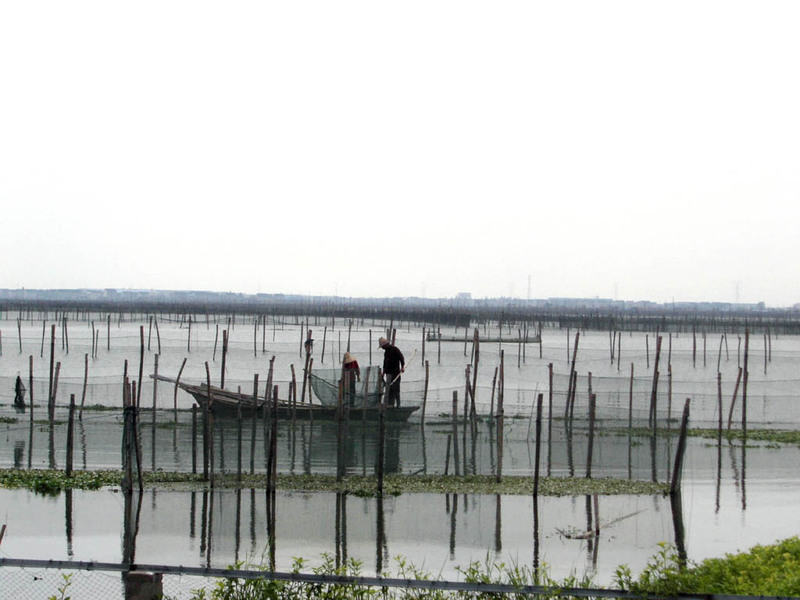 It takes about 80 minutes from Central Shanghai by car. A club bus is available from the downtown as well. 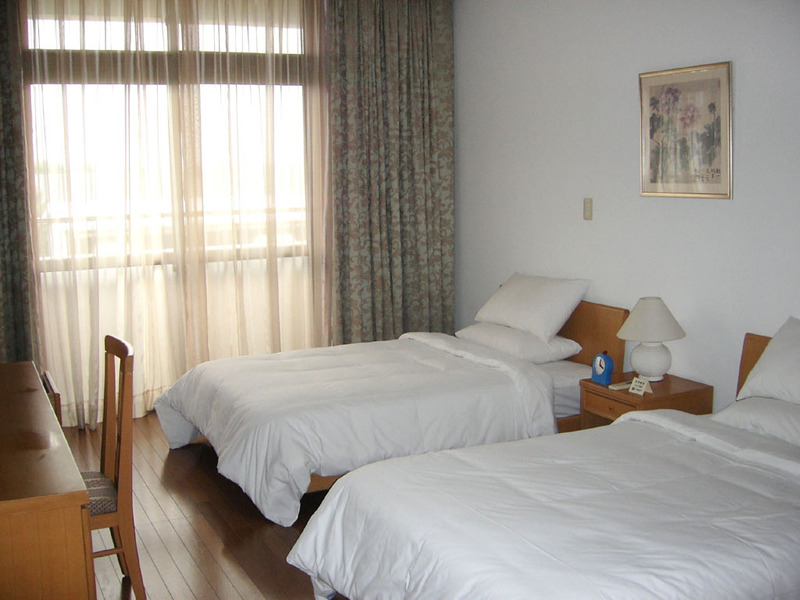 The quality of the caddie services is very high, which is rare in China. Visitors can play on weekdays but they need to be accompanied by a member on weekends and public holidays. 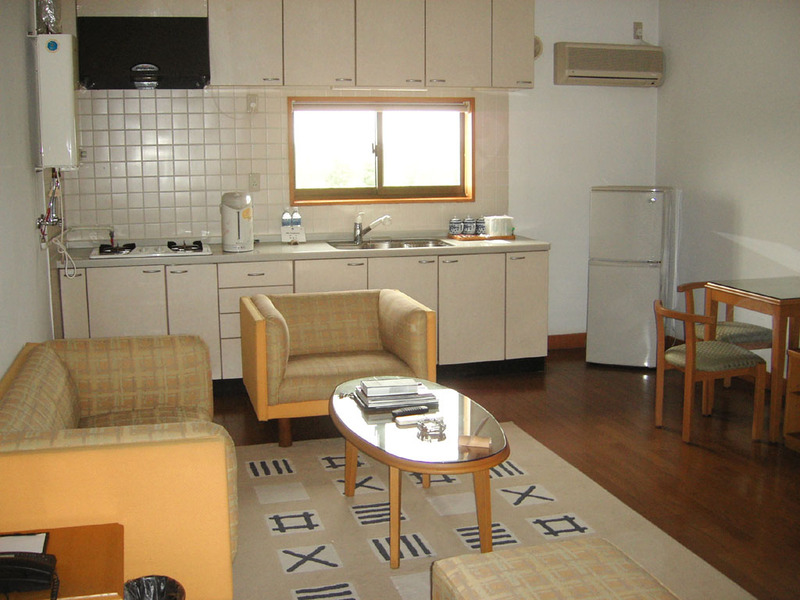 The spacious lodge next to the golf course is available. Fresh tomatoes and cucumbers were given out free of charge during the play and they tasted good. 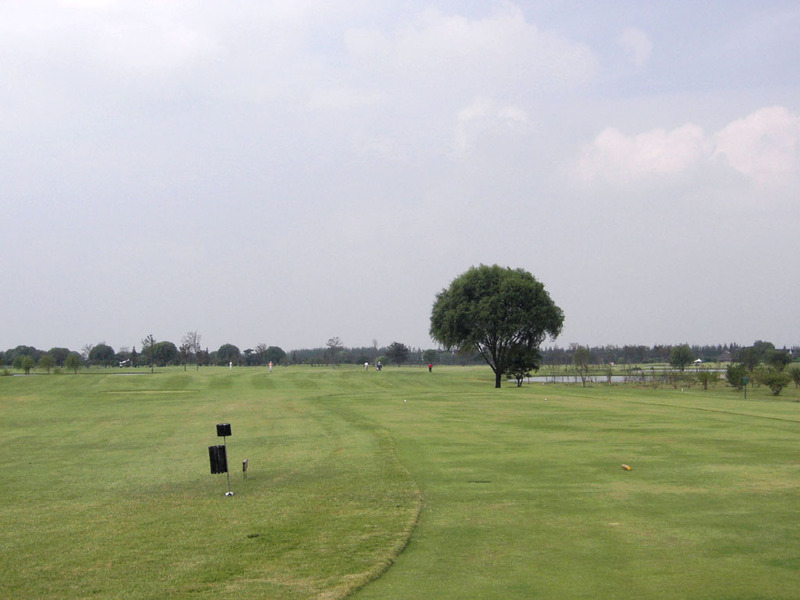 To play from the longest tees, you need to be an advanced player accompanied by a member. The yardage sticks in par 4s and par 5s are measured to the front edge of the greens, so you need to pay attention to it. 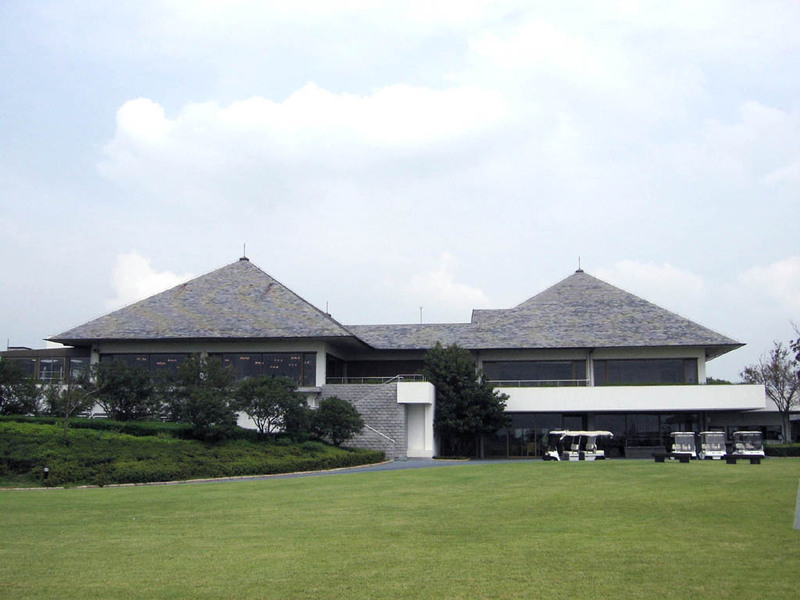 The designer, Tsutomu Irie is a Japanese PGA pro.